Jim McIntyre’s first home game as manager ended in disappointment as Hearts ran out comfortable 3-0 winners against the Dee. The Dark Blues gave themselves an insurmountable task by conceding goals at the start of each half and missing a penalty. Oliver Bozinic scored after two minutes and Steven Naismith added a quick second. 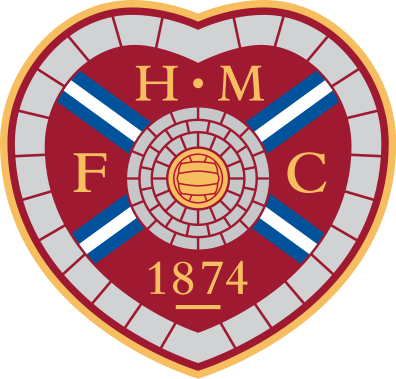 Calvin Miller missed from the penalty spot and when Steven MacLean scored the third goal in the first minute of the second half the points were safe for Hearts. The Dark Blues made four changes to the team that lost at Livingston. Jack Hamilton replaced Elliott Parish in goal, and Darren O’Dea, Jesse Curran and Elton Ngwatala came in for Andy Boyle, Kharl Madianga and Sofien Moussa. Hearts brought in Michael Smith and Harry Cochrane for Marcus Godinho and Oliver Lee. 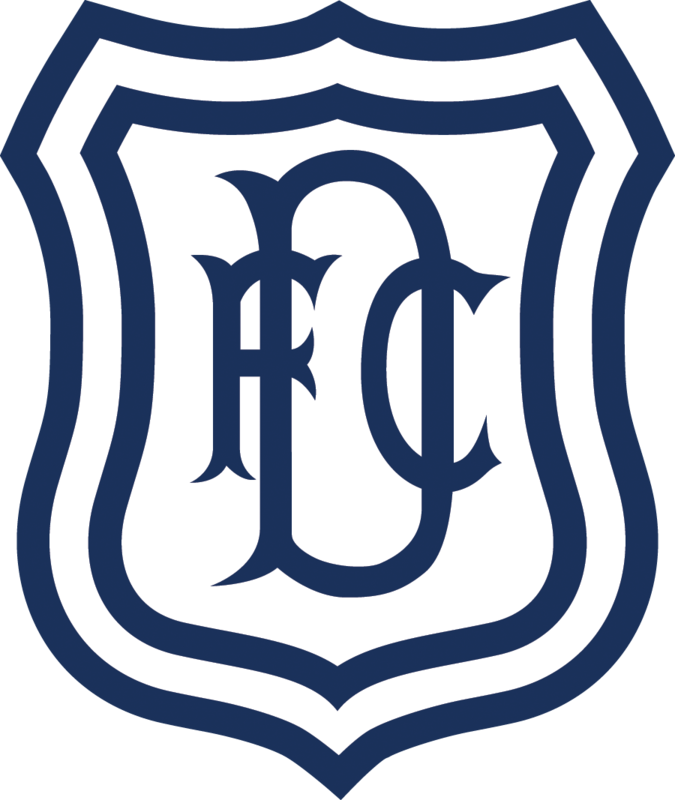 This season Dundee have often started brightly and fallen away. Tonight they got off to a terrible start, losing two goals within the first quarter of an hour. 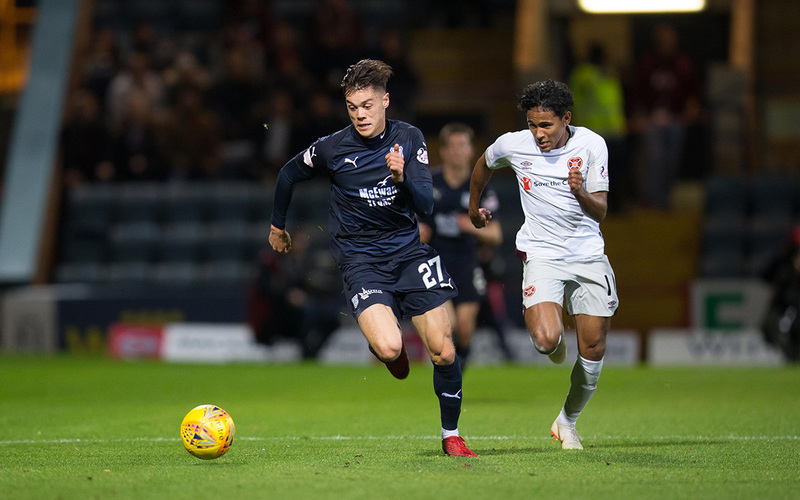 The Dark Blues kicked off but were immediately forced back into defence and hadn’t crossed the halfway line again when Hearts were awarded a free kick 25 yards from goal. Australian midfielder Oliver BOZANIC curled a perfect shot over the wall and inside Jack Hamilton’s left hand post with just under two minutes on the clock. Dundee picked themselves up to launch some good attacks that posed Hearts a few problems down the flanks. At the end of a fast Dee break Calvin Miller sent a low drive from 20 yards narrowly wide. However, the Dundee defence continued to look vulnerable and weren’t helped by a midfield that didn’t always track back fast enough to cover Hearts’ attacks. That led to the second goal after 14 minutes. Elton Ngwatala was crowded off the ball just outside the Hearts penalty area and went down hurt. Hearts poured forward into space down the Dee left, and Morrison took advantage of the outnumbered Calvin Miller to send Michael Smith clear to fire over a low cross. Steven MacLean missed the ball at the near post, putting off Hamilton and allowing Steven NAISMITH to slide home the second goal at the far post. Dundee had a great chance to get back into the game when Benjamin Källman controlled a Calvin Miller cross but was pulled down by Jimmy Dunne in front of goal. Calvin Miller took the resulting penalty but fired wide. Reducing the deficit to one goal midway through the first half would have given the Dee a lift, and spirits sank all round the ground after the miss. A few minutes later Lewis Spence headed well wide from a good cross by Cammy Kerr. After that Dundee’s attack barely featured in the match again. Hearts went close twice more before the interval. After a prolonged attack the ball came to Steven MacLean in space wide on the right of the penalty area. The Dee defence stood off him for far too long, giving him time to measure a chip that came back off the underside of the crossbar. In first half injury time Naismith picked up a careless crossfield pass by Spence and played MacLean in on goal, but Jack Hamilton made the save of the match to deny the veteran striker. Kharl Madianga came on for Spence at half time, but unbelievably Dundee made an even worse start to the second half than the first. Bozanic’s opener was a fine free kick, but the third goal was simply a shambles. Hearts kicked off and Arnaud Djoum ambled into the penalty under negligible pressure and hit a low cross beyond the far post where Naismith screwed the ball back past Hamilton to give MACLEAN the easiest of chances in front of the empty goal. It had taken Hearts only 20 seconds from the kick off to walk the ball into the Dundee goal. Any faint chance of Dundee staging a comeback was dead. Hearts slowed play down, kept possession and probed for further goals without ever allowing the Dee any route back into the match. The rest of the game drifted by with Hearts firmly in charge and Dundee repeatedly failing to trouble them whenever they did get the ball. Djoum went close with a deflected shot that flew over the crossbar. Bozanic had a good chance for his second goal, but shot straight at Hamilton. The Dark Blues only shots on target all night came from late efforts by substitute Roarie Deacon and Jesse Curran, and only the latter required a good save by Zdenek Zlamal who did well to keep out a deflected shot from 20 yards. Hearts, at the top of the table, were clear favourites at the start of this match. They fully justified that status all through the game but they could hardly have expected Dundee to make it so easy for them. The dreadful way that the Dee started each half put Hearts comfortably in control. There were moments in the first quarter of the match when Dundee did trouble Hearts. But even during that period the visitors were always the more dangerous team and helped themselves to two goals. Hearts were always far more fluent, imaginative and incisive against a jittery and vulnerable Dundee defence that received little help from the midfield. The Dee strikers had a miserable night with poor service throughout the match. Sadly Dundee were second best all over the park tonight and can have no complaints about the final score. Unused subs: Parish (gk), Mendy, Nabi, Boyle, Henvey. Booked: Kerr (foul on Djoum). Unused subs: Doyle (gk), Clare, Hughes, Mulraney. Goals: Bozanic (2), Naismith (14), MacLean (46). Booked: Bozanic (foul on Kerr). Attendance: 6,112 (1,891 away supporters). Referee: Craig Thomson. Assistants: Michael Banks, Andy Milne. Fourth Official: Steven Reid.